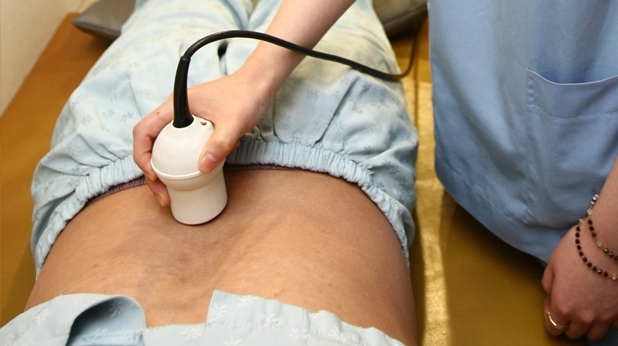 Lasers and electromagnetic fields known to best penetrate the skin are used to help boost metabolism, stimulate healing processes, and control pain. 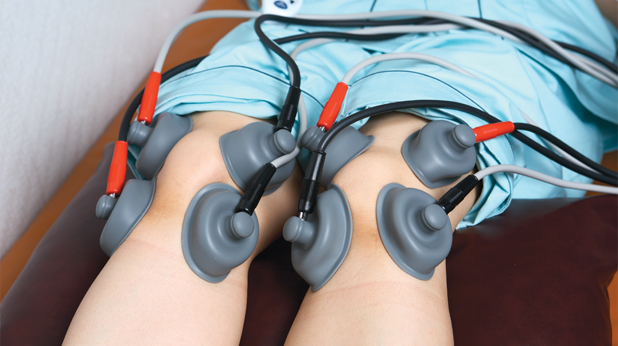 The site of the pain is stimulated with low frequency electricity to alleviate any numbness and stiffness in the area. It helps blood circulation as well. The device is designed to deliver 1000 oscillations per second to tissues (skin, muscle, and nerves). 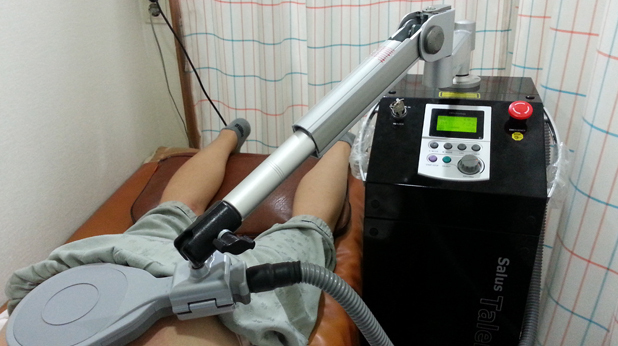 As a result, muscles become relaxed, blood circulation is restored, and pain is reduced. Overuse of muscles and injuries may cause inflammation and pain. In such a condition, it is very likely that the surrounding muscles contract in order to protect the body. The high frequency deep tissue therapy helps relieve such contracted muscle without any damage. The heat stimulates blood circulation to the deep skins, furthermore muscles and joints. This means that more nutrients, leukocytes, and antibodies. Hot packs are known to boost treatment outcomes. Gentle forces are applied manually to injured muscles, joints, and nerves to relieve any unnecessary tension and to restore balance to distorted structures. Patients are tested with static and dynamic body balance tests, INBODYs, other diagnostic tools first. Then a specialist analyzes the data to find the problem, then provides individual consultation including exercise and self massage. Circulation is increased; waste products are metabolized more efficiently.